When looking at hardware options for your new family shower screen, shower door hinges usually get overlooked. In this blog I cover off why I feel that high quality hinges are very important and what you need to consider before purchase. Tip 1: The hinges on a shower screen are incredibly important because this is the most mechanical part of the screen, where the door gets opened and closed regularly. The way these hinges work is that they clamp around a cut out in the glass and this hinge holds the full weight of a door at approximately 36 kilos. This door being opened multiple times a day, a year, or over many years. This is an incredibly important part. If the door drops or the hinge lets go, the glass can explode and you’ve got a catastrophe on your hands. The important thing to consider when choosing your next frame or shower screen door hinge is definitely quality. Don’t compromise on the quality of the product. Tip 2: With the door hinge being the most mechanical component of your shower screen, there’s a big difference between an inferior product and a high quality product. This comes down to the engineering and design of the hinge, and also the internal components that make it up. Inferior products don’t last and cause the door to drop, which can have catastrophic circumstances. There’s many different shapes, styles and sizes of hinges that can be used for your next shower screen. Tip 3: Generally speaking, your glass supplier would choose the type of hinge that is suitable for the location and operation of your shower screen. In saying that, you do get to choose the finish, the shape of the hinge, among some other factors. Tip 4: The best and long lasting frameless shower screen hinges, in my opinion, are the FGS -ES2s. These hinges have been constructed from brass and have been engineered and improved by their in-house engineering and design team. What this means is that the internal components are incredibly strong and have long lasting effects. Which means you won’t have to replace that hinge for years to come. 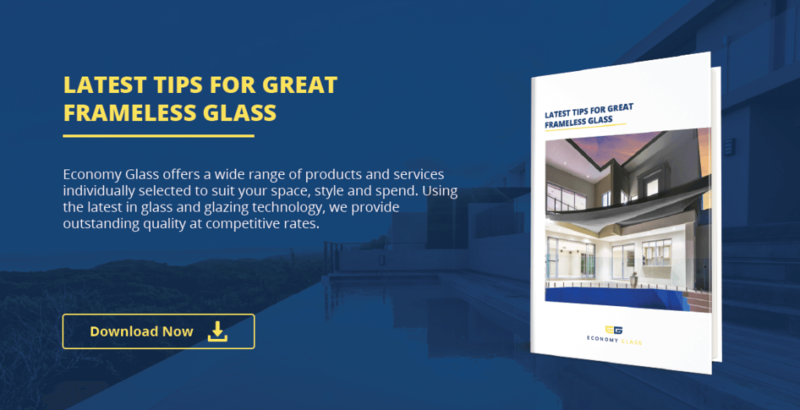 If you’d like more information, feel free to download our free guide “Latest Tips for Great Frameless Glass”. Alternatively, feel free to reach out via email or phone to our workshop.